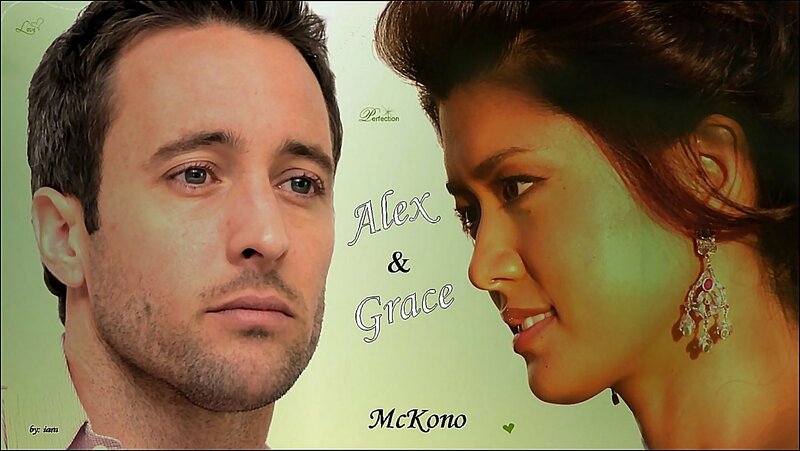 Alex & Grace - McKono. . HD Wallpaper and background images in the Steve and Kono club tagged: hawaii five-0 steve mcgarrett kono kalakaua alex o'loughlin grace park mckono h5-0. This Steve and Kono photo contains портрет, выстрел в голову, близком расстоянии, макро, and крупным планом.